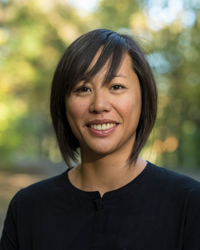 Dawn Mauricio has been practicing and studying Insight Meditation since 2005, sitting silent residential retreats in Canada, United States, Thailand, and Burma. Since discovering the Dharma, she has graduated from Spirit Rock's Mindfulness Yoga and Meditation Training and the Dedicated Practitioners' Program, as well as the first teacher development group of True North Insight. Dawn teaches with a playful, dynamic, and centered approach, currently leading a weekly sitting group, daylong retreats, and mindfulness workshops. She is a meditation retreat teacher for teenagers with Inward Bound Mindfulness Education and is currently in Spirit Rock's 4-year Teacher Training.